All ECPD officers were trained to use Naloxone in January. 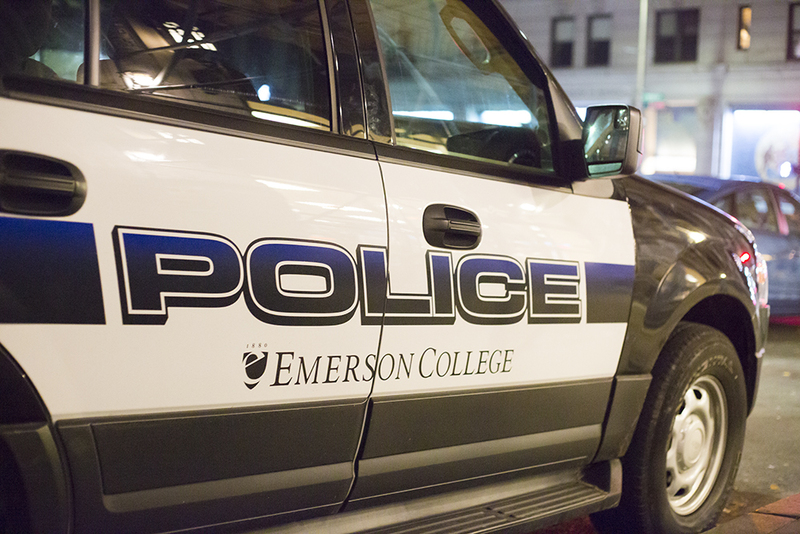 The Emerson College Police Department is planning to carry a life-saving opioid overdose treatment drug by early March in response to the national opioid epidemic, according to ECPD Chief Robert Smith. Naloxone, commonly referred to by the brand name Narcan, can be administered as a nasal spray to help stop the deadly effects of an opioid overdose. Opioids are a class of drug including many prescription painkillers and heroin. Smith said all ECPD officers were trained to carry and administer the drug in January. The department will be ready to implement the program after it decides on a Naloxone manufacturer and gets a doctor approved to review any uses of the drug. “We’re moving as quickly as we can,” Smith said. He said he does not know of any Emerson students who have experienced an opioid overdose, but said he felt the department had a responsibility to carry the drug. “I don’t see how it could do any harm,” Smith said. Smith noted that ECPD officers would also be able to aid people unaffiliated with Emerson in the surrounding community, in the event of an overdose. There were nearly 1,500 confirmed unintentional or undetermined opioid overdose deaths in Massachusetts last year, with another 500 estimated, according to a report by the Massachusetts Department of Public Health. The U.S. Department of Health and Human Services reports that an average 78 people die in the U.S. from opioid overdoses every day. Smith said opioid overdose is the leading cause of accidental death in the Commonwealth. Nancy Allen, executive-in-residence in health communication, said she’s thrilled that ECPD has been trained to use Narcan. According to Smith, two ECPD officers attended a meeting in which the Boston Public Health Commission trained other Emerson staff members, including staff from the Center for Health and Wellness, to use Naloxone late last fall. He said their experiences at the meeting encouraged the entirety of ECPD to get trained. The Alcohol and Other Drugs Task Force submitted a proposal to ECPD last fall suggesting they start carrying the drug, according to Center for Health and Wellness Assistant Director Laura Owen, one of three core members of the AOD task force. She said the proposal came alongside broader and less formal recommendations the AOD submits to other branches of the college. The Boston Police Department carries Naloxone, as does the Boston University Police Department. Representatives from Suffolk University and Berklee College of Music could not be reached by press time.